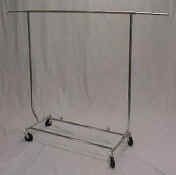 Our sturdy Salesman's Racks are designed to withstand the rigors and constant use associated with retail merchandising. 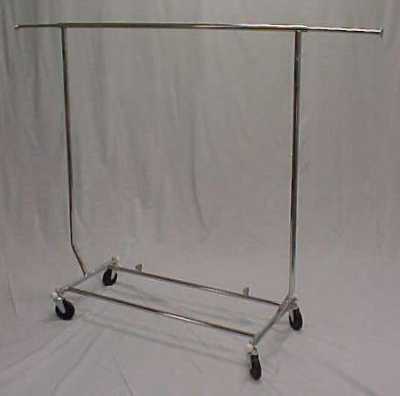 The racks pictured here are constructed of 1" round tubing for extra durability and chrome plated for an attractive display fixture. 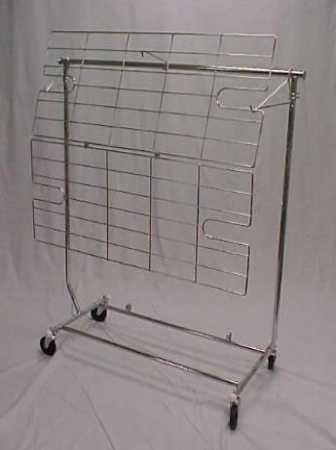 Our portable salesman's racks fold flat for easy storage and transport. 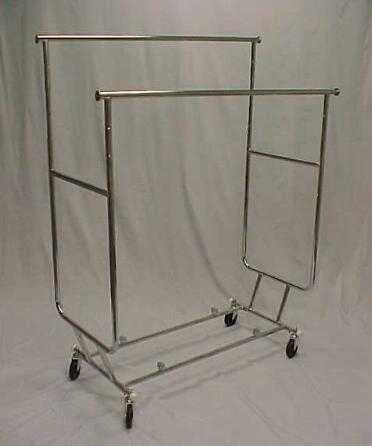 They include 4" casters for easy rolling and portability. 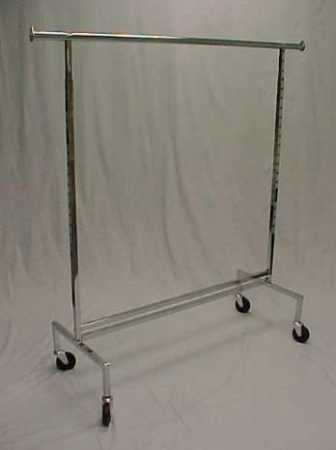 Three (3) Height Settings - 55", 60" and 65"
Hangrails are Individually Adjustable from 54" to 74"
Hangrail Is Adjustable from 54" to 74"